Want your casual clothes to work a double shift? Take note of these simple styling tricks. How many times have you tried to incorporate your more casual fashion pieces into a work environment and, as a result, looked a bit underdone? Here are some basic tips and styles that will give you the freedom to be wearing your favourite skirts, heels and tops into the boardroom. As you fling your wardrobe door open at the start of your day, carefully choose one garment that will be the focus of your outfit and everything else should work around that. Not all of us have the liberty to wear over-the-top prints in our jobs but if you tone down the combination of colours worn together with the skirt, then the ensemble can be striking. A white shirt works wonders with all prints and bright colours. Look for good shape and structure. Zips are a good way to add an element of class. This is the easy bit. Make sure the tops and structured T-shirts that you’re wearing to work aren’t of the soft cotton variety. This will look like you’ve strewn in from a festival and sat down to start work! The material should stand up nicely under a blazer. Keep the colours basic and bold and remember that tailored tops can always be paired with denim for a more relaxed look. I’m a big believer in the shoe boot, despite the debate over whether it is actually a peep-toe heel or in fact a boot. Confusion aside, this shoe is a winner for meetings that might turn into drinks. These heels provide height and cool, zip detailing. It’s a wonderfully trans-seasonal purchase that you’ll wear beyond the cooler months. They look great teamed with black wax faux leather pants too. 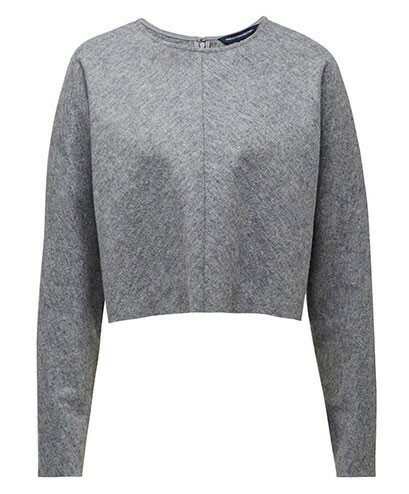 When it comes to knits, hunt for boxy styles that will give your work look an edge. Generally, the more skin shown, the less conservative the look. When you’re coordinating your work options, steer clear of cropped styles showing your shoulders and midriff. Wear soft coloured, snug-fitting knits over shirts and with skirts. And for a more grown-up look, wear grey and black. A frock that you can rock with a pair of high black heels is worth more than any other piece of clothing. It’s exceptionally versatile and can be worn with or without tights and dolled up for a date following a hard day at the desk. 1. 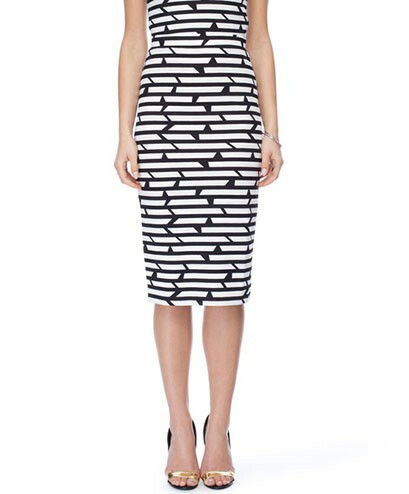 Try a black and white print at a midi length for a smooth start to your office day. 2. Soft pinks paired with a subtle, floral print creates for a delightful addition to the corporate wardrobe. 3. A sleeveless white tank is perfect worn under a blazer or tucked into a high-waisted pair of pants. 4. Try incorporating texture or a pop of colour with a black or white skirt. 5: Try the shoe boot with a straight legged pair of pants. 6: Try a white, neat shirt under a cardigan or knitted jumper. 7: Add a blazer to make it more professional. 8: A long sleeved dress is a no-brainer for work.